I was joking that the name of this post should be “couch chic” but I didn’t have the balls to do it! 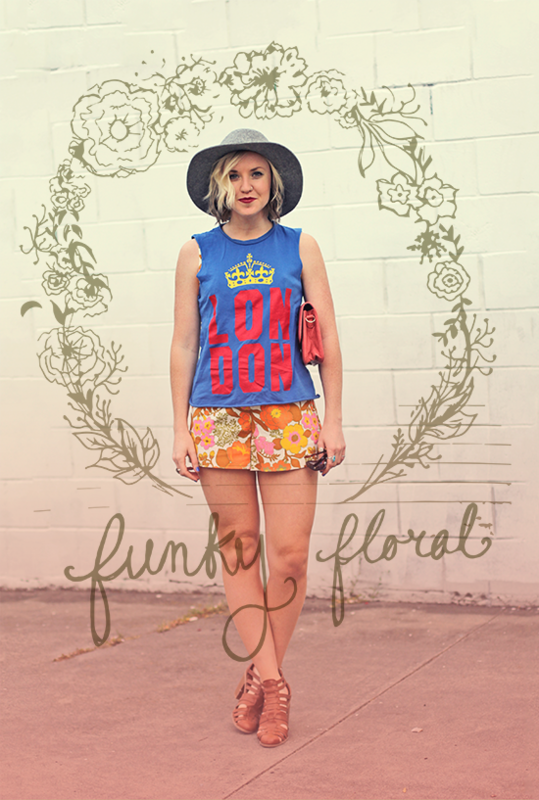 Plus I had already hand written “funky florals” and designed a cute little floral crown to accompany it! I actually don’t own floral shorts but you know me I love to improvise and extend my wardrobe so I layered a graphic tee over this vintage romper. If you want to see the full romper, I’ll take you on a trip to a post back in 2012. Click here to view it, don’t laugh at me though—I warned you! 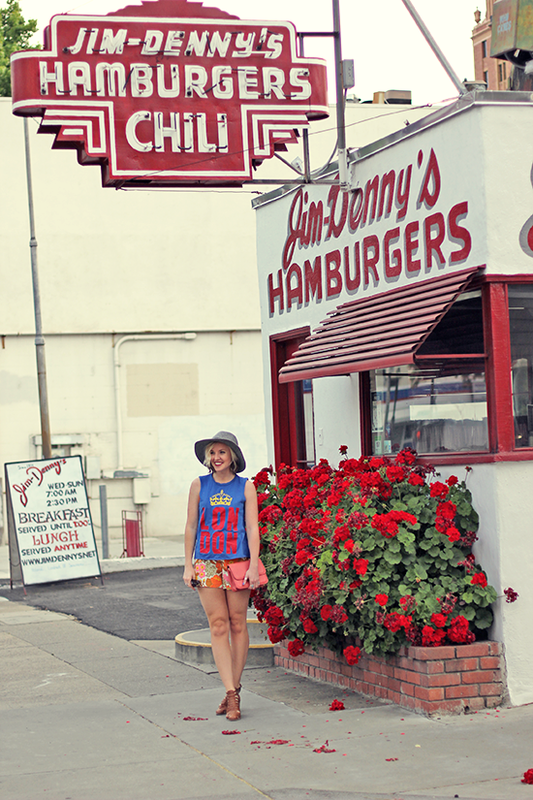 How cute is this little hamburger shop?! 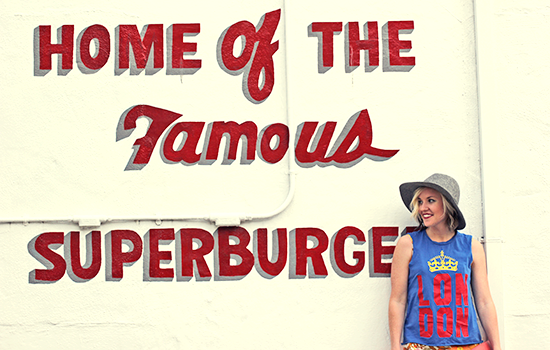 I love a good old neon sign and Sacramento is just chalk full of them! It was actually closed on Sunday when were there. But rest assured I’ll be back to try it out! What a fun outfit! 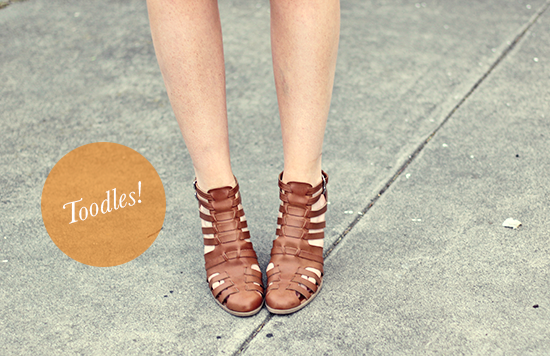 Obsessed with your shorts and sandals! So cute! Very cool outfit and the backdrop is awesome! 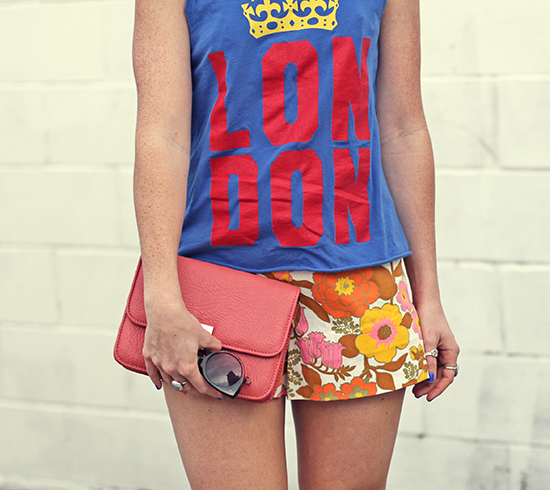 I like the pairing of classic prints like the shorts with funky pieces, like the t shirt. What a great idea! I love this outfit and your idea to layer a t-shirt! 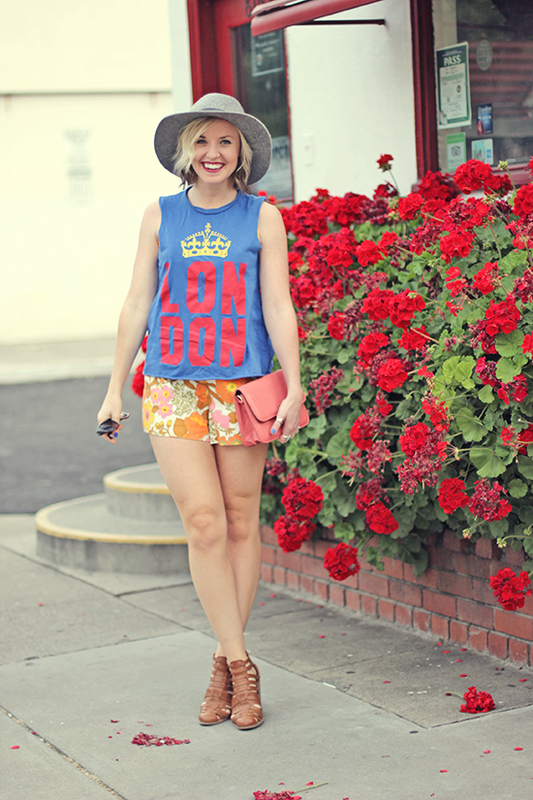 I love how you paired a graphic tee with floral shorts! So perfect 🙂 The hat is perfection and those shoes are killer! I love that romper! I’m also always looking for ways to maximize my wardrobe, and sometimes use rompers as tops by wearing them under skirts, etc. But, I never thought of layering something over them. You just look effortlessly cool, and I love it! 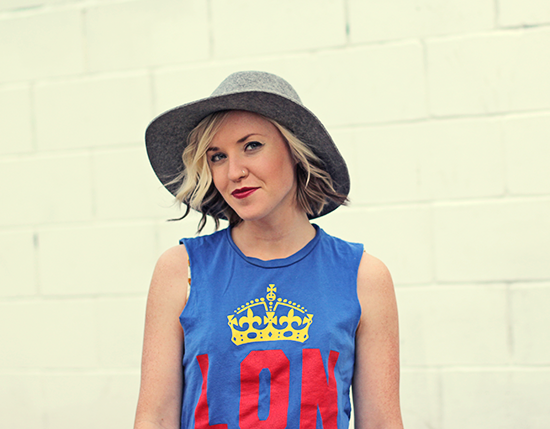 Layering the vintage tee over the romper is such a great idea! So cute! I love that you layered over your romper to make shorts. Layering is such a great way to double (or triple) your wardrobe! love the outfit and the pictures!